It was the first time David had entered one of 4Dorset’s competitions and he was very surprised to receive a phone call to say he had won the prize of £100 worth of Stewarts gift vouchers. He was presented his prize by Zoe Home, Lifestyle Buyer at the Stewarts Garden Centre where David and his family are frequent visitors. 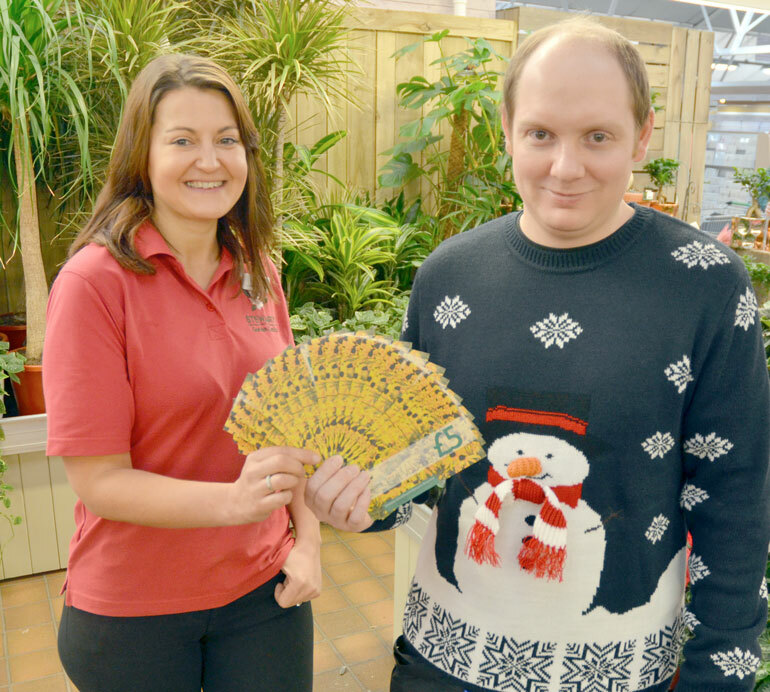 “I have never won a competition before so I will enjoy looking to see which plants will enhance our garden in the spring,” said David who works in IT. The winner of the £100 worth of National Garden gift vouchers in the same magazine was Gerry Easton from Henley in Arden, Warwickshire who will receive his prize in the post.